The history of people consuming soya beans dates back to the 11th century BC in China. By the 15th-16th century, soya was introduced to many parts of Asia, including Japan and India, and in the 18th century the beans started to be grown in the USA. Since then, it has become an important part of the diets of many populations and found popularity with vegetarians and vegans because of its versatility, nutrients and health benefits. Soya is a good source of protein as it contains all eight essential amino acids (protein building blocks) that the human body needs. It is also a rich source of polyunsaturated fats (including the essential Omega-3s) and is cholesterol-free. On top of that, it contains disease-busting antioxidants, B vitamins (including folate) and iron. Calcium-fortified soy products, such as soy milk and tofu, also provide significant amounts of this important mineral. 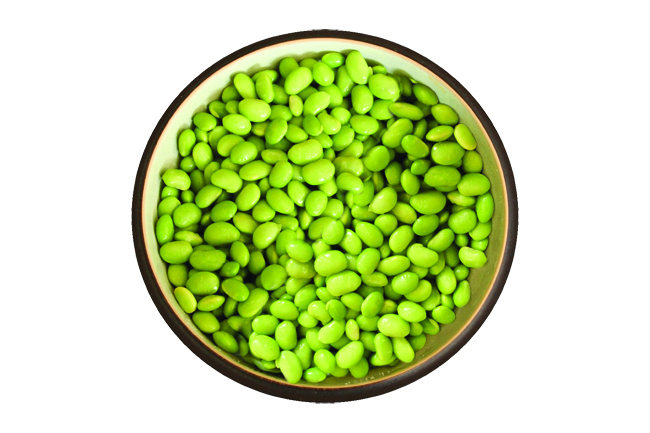 Soya (edamame) beans and products made using the whole beans are a good source fibre, which is important for good bowel health and can lower cholesterol. Much of the critique and attacks on soy focus around phytoestrogens. So what is it about? Phytoestrogens are natural substances found in many fruits, vegetables, dried beans, peas, and whole grains. Isoflavones are the particular type of phytoestrogens found in the beans. The chemical structure of phytoestrogens is similar, but not identical to, human oestrogen. In fact, phytoestrogens are estimated to be between 100 and 100,000 times weaker than the oestrogens that occur naturally in humans (or in cow’s milk). Scientific studies and reviews focusing purely on human data conclude that isoflavones from soy foods are completely safe and don’t pose any health risks. The concerns are based on animal experiments, which are irrelevant because not only do phytoestrogens behave differently in different species but also many of the animal experiments were based on injecting animals with high doses of isolated isoflavones or force-feeding them extreme amounts – that bears little relevance to human health. Research examining the effect of soya-based infant formula on sexual development and fertility found no evidence of adverse effects on either. And studies looking into soya isoflavones and their possible effect on male hormones and reproductive functions concluded that there is no basis for concern. The UK Committee on Toxicity of Chemicals in Food, Consumer Products and the Environment conducted an in-depth analysis of soy effects on human health and acknowledged that there is no evidence that populations which regularly eat high quantities of soya have altered sexual development or impaired fertility. Scientists agree that soya can improve heart health – a fact supported by dozens of controlled clinical trials. Soya consumption has been shown to reduce cholesterol levels and reduce plaque build-up in the arteries, which helps improve healthy blood flow. It was discovered that Japanese women who consumed the most soya foods had less than half the number of hot flushes compared to women consuming the least. There are now many studies showing that supplementing the diet with soya foods or soya isoflavones can reduce the frequency or severity of hot flushes and certain other menopausal symptoms. The North American Menopause Society conducted a comprehensive review of research on soya and menopausal symptoms and concluded that soya isoflavones are effective in controlling hot flushes. However, as the overall diet has an effect on our health, making soya foods a part of the diet is better than taking supplements. Several studies from different countries suggest that regular soya intake during adolescence reduces the risk of breast cancer later in life and the risk continues to fall if people continue to eat soy as adults. The protective effect of soya was recently shown to apply to women who have breast cancer too. The Shanghai Breast Cancer Survival Study looked at over 5,000 women previously diagnosed with breast cancer. 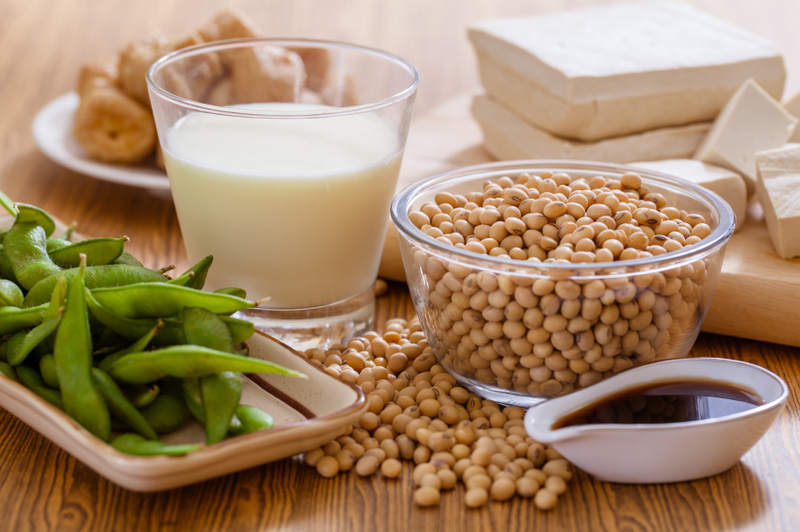 Results showed that those who ate more soya foods (11 grams of soya protein per day, equivalent to one and a half servings of tofu or soy milk) were less likely to die from the disease and had a significantly lower risk of recurrence. The same results were replicated in other studies. Mothers who are unable to breast feed and can’t use donor milk have to use specially formulated milks to feed their baby. Soy-based infant formulas provide all the nutrients required by a growing infant. In the US, 25 per cent of all formula-fed babies are given soy formula. A number of studies confirm that infants fed soy-based formulas show normal growth and development. Although breastfeeding is always superior to formulas, all development markers of babies fed soy formula show that it is a safe alternative. Soya growing is indeed a serious problem – but not because of vegans. It is because of meat eaters! Around 75 per cent of the world’s soya production is fed to livestock – cows, pigs and chickens – so that people can eat meat and dairy foods. Much of it comes from the Amazon. On the other hand, only around six per cent of the beans are eaten directly as whole beans or in soy products like tofu, soy milk and soy sauce. Most manufacturers using soy as an ingredient for human food products in the UK have a strict non-GM soy policy. They also do not use beans grown in the Amazon or other rainforest land. If you want to be sure, choose organic – no GM is one of the organic criteria. Long-established foods such as soy sauce, tamari, miso, tempeh, tofu and soy milk were developed in Asia using traditional fermentation or precipitation methods. Many of these foods use the whole bean and are healthier than foods based on soy protein isolates, which are extracts from the beans and include textured vegetable protein (TVP) and other meat substitutes. However, soy-based mock meats still provide a valuable, low-fat source of good protein. The beans are an astonishingly versatile and healthy food, which can be enjoyed and savoured as part of a balanced diet. Whether it be edamame, miso soup, tofu stir-fry or a milky fruit smoothie, these beans are a delightful way to add nutritious recipes to your culinary repertoire. For more information on soya, health and nutrition and for references in this article, please go to www.vivahealth.org.uk/soya.